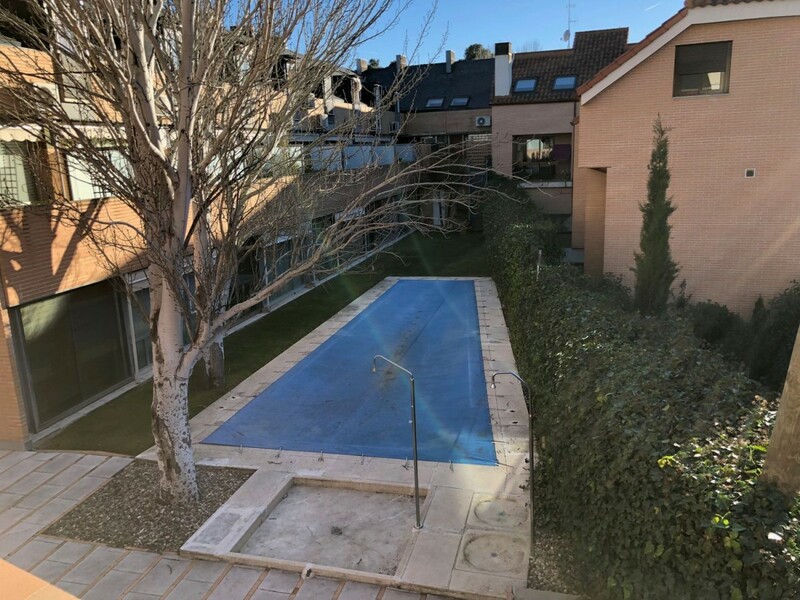 Duplex penthouse apartment with two bedrooms on Calle Real de Torrelodones with garage, storage room and pool. It consists of approximately 78 square meters built divided into two floors, an attic and kitchen with clothesline. On the main floor we find the kitchen with utility room, air conditioning, a large living room with large window and a toilet. The second floor is accessed through a spiral staircase in which there are two attic rooms, one of which has access to a loft or attic. It also has a very comfortable and spacious parking space of about 4.80 x 2.37 m and a huge storage room of about 12 m2. The urbanization also has a swimming pool. Located at the beginning of Real de Torrelodones street, it is located in a very comfortable area close to all services such as supermarkets, public transport, good exit to the A6 motorway and a great variety of restaurants but without being on the side that might bother you, given that the house does not face Real Street. 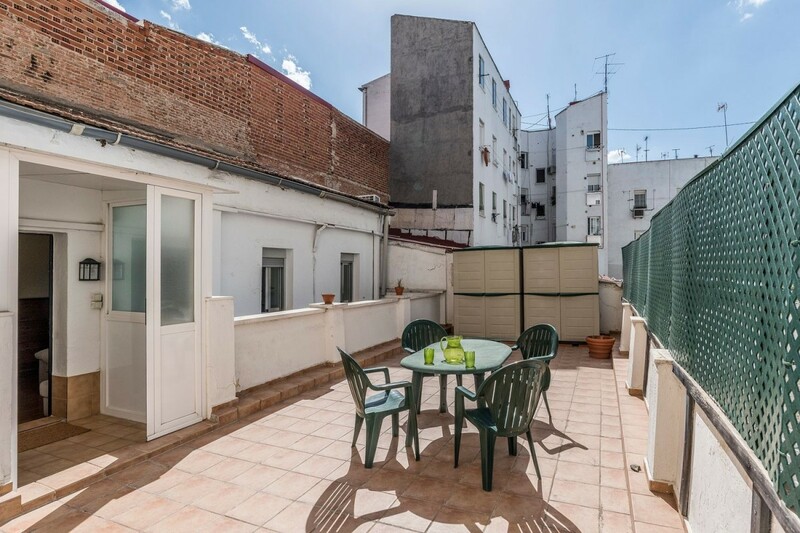 Penthouse with three bedrooms, one bathroom, needs updating, 84 m2 built, located in a quiet area, very central, parallel street to Jerónimo del Moral (main street) where most shops, banks, pharmacy, town hall etc. are located... in a radius of 500m. close to 400m primary schools. 300m libraryInstitute 500m. , 10 min. of RENFE, line C-3 of neighborhoods, 32 minutes to Atocha, Ciempozuelos has Bus both urban and interurban, direct line to hospital Infanta Elena de Valdemoro. 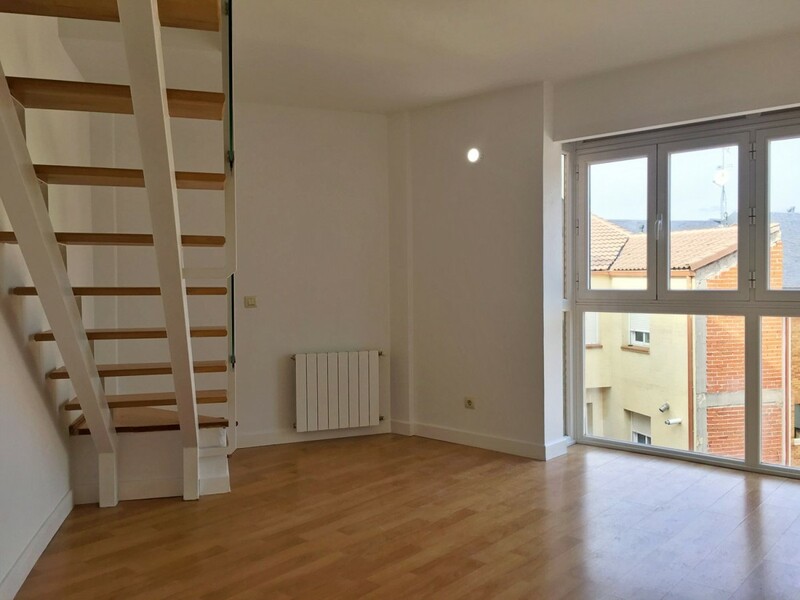 This flat is at Calle Luceros, 2, 28400, Collado Villalba, Madrid, on floor 4. 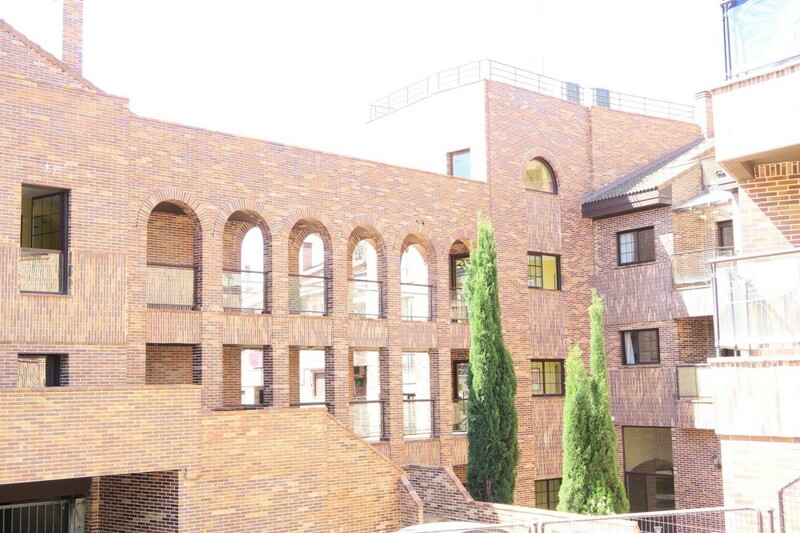 It is a flat, built in 1980, that has 68 m2 and has 1 rooms and 1 bathrooms. Find more. Colmenarejo is a University Villa in the Sierra Noroeste of Madrid just 40km from the capital, with all the necessary services to cover your needs and at the same time be in contact with nature. 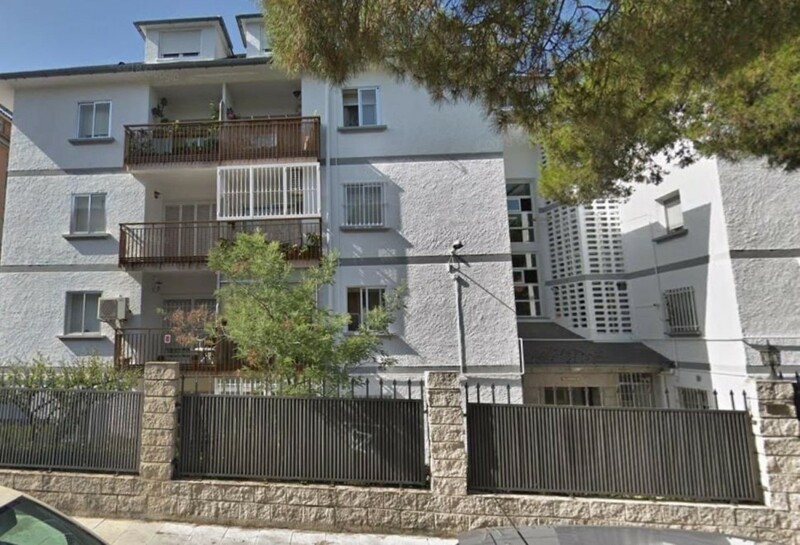 In an area very well connected just 2 minutes walk from the bus stop, in the center of town next to the town hall square, this 60m2 duplex apartment is very bright and with a very practical layout. It has a bedroom with a full bathroom on the top floor with attic and a velux that gives natural light. On the lower floor, through which the house is accessed, there is the fully furnished independent kitchen, a toilet and the living room with a large window. The walls are smooth paint, the interior woodwork, the exterior aluminum windows with double glazing and the wooden floor. It is ideal for investors who want to rent the house and get a good return, or for a young couple or college students. The Mercadona supermarket, pharmacy, stationery, restaurants, parks, town hall, Church.. . just one or two minute walking. That is quality of life! 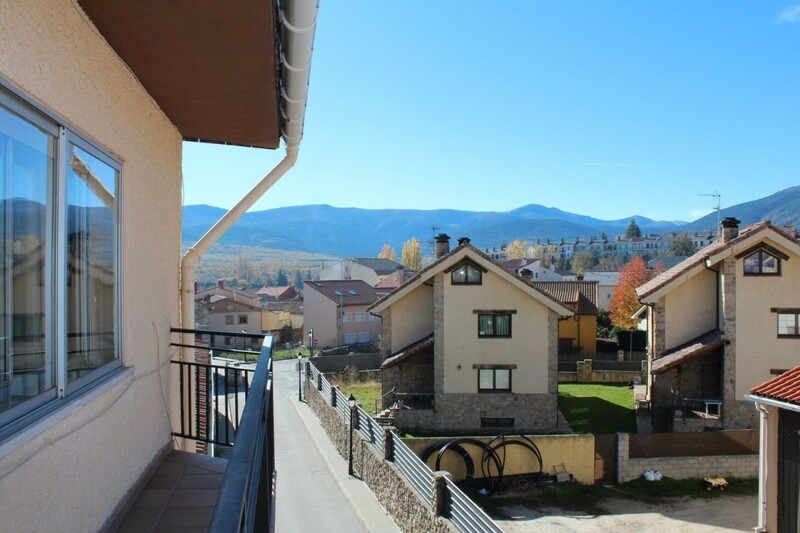 Penthouse apartment in the center of Rascafría, in one of the most beautiful natural sites of the Community of Madrid, two kilometers from the Monastery of El Paular with views of the National Park of Guadarrama and National Park of the Summit, Circus and Peñalara Lagoons. It has north orientation and south orientation with views from all rooms and kitchen. The block consists of 6 homes in a very quiet area and a few meters from the urban center. Newly renovated bathroom, new flooring and new doors. The house has double glazing installed. Fully furnished and equipped to move into. The living room has a wood-burning fireplace as well as individual gas-oil heating installed throughout the property. The territory, of high landscape value, is populated by thick oaks and pine forests alternating with meadows, natural pools and nearby ski resorts such as Valcotos (only for cross-country skiing), Valdesquí and 19 kilometers from Navacerrada station. 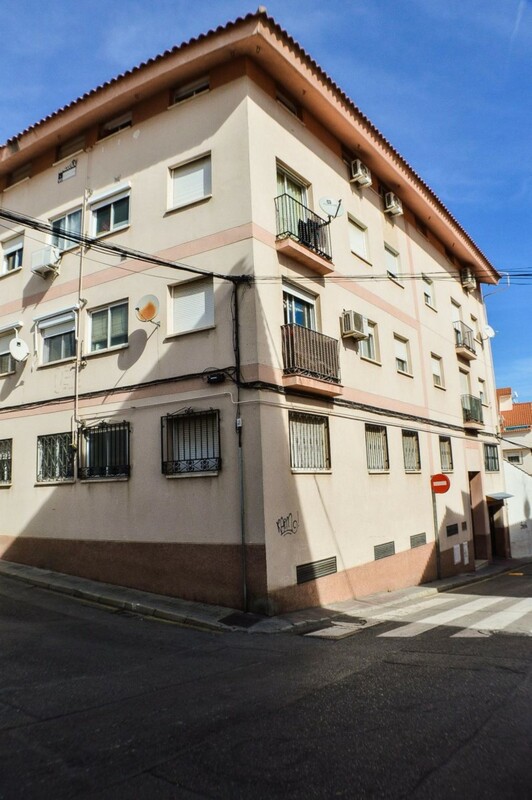 In addition, its proximity to Madrid (78 kilometers to the center) presents this property as a good investment. In short, a perfect enclave to perform all kinds of activities in nature (snowshoeing, canoeing, paddle surfing, adventure park, mountain biking, orientation, hiking, nordic-walking, climbing, zip line, horseback riding, etc. ), rural tourism and to also enjoy rest and gastronomy. YOU CAN ALSO REALIZE RENT WITH OPTION TO PURCHASE. The consultation on conditions can be made directly with the Real Estate Advisor. Beautiful duplex penthouse in Miraflores de la Sierra. The house is next to the town center, near the Town Hall, the church and the San Pablo school. It is distributed on two floors, the ground floor with a large living room that has a fireplace, kitchen, bedroom, toilet and closed clothesline. The first floor has two bedrooms and a bathroom, from the master bedroom you have access to a terrace with beautiful views. The house is very bright, has marble floors and fitted wardrobes in all rooms, heating is gas. We do not charge agency fees to buyers. "Los Arroyos, El Escorial. Penthouse-Duplex apartment of recent construction and with very good qualities. Distribution: Ground floor: Living room with terrace and kitchen, has 2 double bedrooms and a bathroom. Ground floor: Large master bedroom with dressing room and bathroom en suite. In closed urbanization with swimming pool and 2 parking spaces included in the price. Unbeatable location near the Renfe station, shopping area, schools, medical services and exit to A6. From 169.000 - €. DO NOT PASS UP THIS OPPORTUNITY". ". 2 bedroom penthouse with terrace. 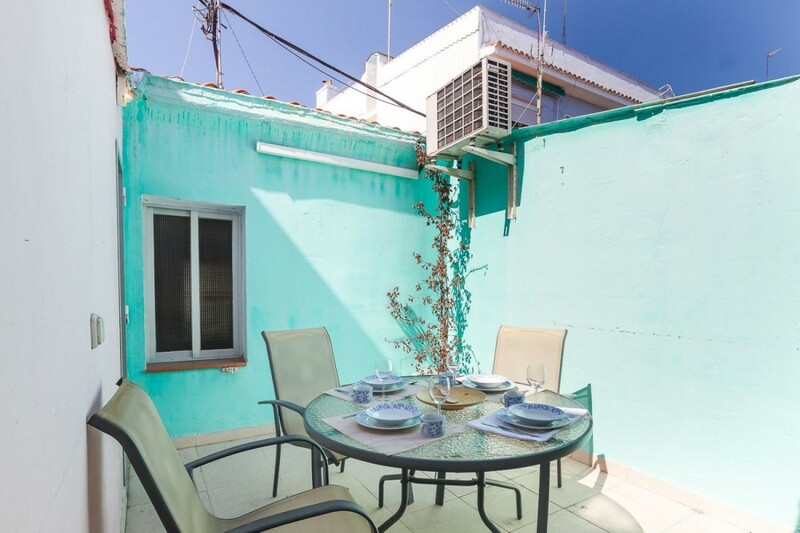 We sell in Calle Sanchez Preciado, a bright 65 m² flat, with 2 bedrooms, a large living room, a bathroom with shower and an equipped kitchen that connects us with a 11 m2 terrace-solarium where you can enjoy great moments. It is located on the top floor, the second of a building of 8 neighbors, not having an elevator. The house has air conditioning in the living room, heating by electric radiators and hot water by thermos, boiler can be installed by natural gas. The location is exceptional, the property is a short distance from the Francos Rodríguez metro, the Dehesa de la Villa Park, and municipal centers such as the Fernando Martín sports center, the library, a music school, swimming club, sports center, health, and the citizen security commissioner. It is not zone S. AND. R so you will not need to park municipal badge. Ask us for a visit! DESCRIPTION HOUSING, AREA AND COMMUNICATIONS Apartment with large private terrace of 44m2. Located on the first floor but with a feeling of being in a penthouse. 53m2 constructed and 45m2 useful housing distributed in 2 bedrooms, living room, kitchen and bathroom. Dadaist its location with respect to the adjoining buildings the apartment has a lot of light despite being located in a first floor. Independent access, very private and easy to rent. Good condition. heating and individual hot water by natural gas, double glazed windows, 2 air conditioner splitters, new lacquered doors. Few community expenses and favorable ITE until 2024. Most commercial area of the Pueblo Nuevo neighborhood. Consolidated area with all kinds of commerce supermarkets (Day, Save More). Traditional market, varied local commerce, nurseries, schools, clinics, sports areas.. . Commercial area of Alcalá at 300 meters. Metro Ascao (L7) at 100 meters and Pueblo Nuevo (L5 and L7) at 400 meters. Buses 109 at the door and 28, 38, 109, 113, N5 and N6 in the vicinity. WE DO NOT CHARGE BUYERS ´FEES!